4. saw that I am in the ELLE magazine (page 262 or something!! so excited!!!!! )..more on that when I can take a pic of it!!! 5. had a semi-grumpy flight-stewardess (that as a boy)...make me check my Zuca bag full of make-up...(I never check that sucker....if all my make-up breaks...no bueno! )...it made it alright thanks to my ZUCA bag! EXAMPLE: people try to force their dreams to happen so fast, and when they don't see the results they want...they give up! There is a season to things...just like you can't pick a piece of fruit from a tree when it isn't ripe! You need to be patient and wait. Trust me, there is a reason it all is happening the way it is. You are meant to enjoy and delight yourself on the process...while it's taking place. God knows the path of your future....the best opportunity in the world, might be 2 months away...and you want to give up now, because you can't wait! Wait for the wonder! You can't speed up a relationship...you'll end up with the wrong person, just because you wanted to hurry it all up! I have done this. Sometimes it's like driving on a curvy road, you can't see what's coming up ahead....and you're hungry, so you just pick the next McDonald's that you see....but if you would've been a little more patient...another curve ahead, and there was the best, cool restaurant ever! I got a few auditions...a Simms commercial, and some other offers to host shows...and tinier than tiny parts in some tv shows and movies! I wanted it to happen so bad...and fast! I remember when I had to move back with my parents....I thought my dreams were over, forever! I was very sad and depressed a lot! Especially when I'd see my old LA friends doing really well, moving into the hollywood hills, going to cool places, traveling...blah blah blah...I would feel like such a failure! But if my heart would've just rested in peaceful, happy patience...knowing that GOd longs to give us the desires of our hearts..and he knows what they are...he put them in us! If anything....when anger or frustration build up today...whether it's because of traffic or not getting the results you want....breathe in the beauty of knowing that maybe this is saving you from something...or that the best thing is waiting for you patiently....and just enjoy each precious moment until your season is ripe for the picking! If I only would've know that this was the wrong season...that up ahead I would be standing in an airport and see my picture in an ELLE magazine!!! even with all your hair cut off! :) Love you kandee <3 have an awesome day full of smiles! Kandee, your blogs always seem to hear what's in my heart each day! They're kind of like those horoscopes where people say "but any horoscope would apply to you because you're looking for it to fit." But thow is that a bad thing? :-) I always find words in your blogs that seem to be written directly to me, and I'm so grateful. Have a safe flight! just what i needed to hear as i search for the "perfect" job! =) thanks, kandee! I think you would get a smile out of it! Thank you for sharing that Kandee. I am 28 and I think that I'm too old for my dream to come through that I missed the boat...I know I know. Thank you for reminding me. Thank you so much, Kandee, for your precious words you are giving us each day.. and for reminding us to reflect on our lives and to think positive..
You make each day special!! So true! I agree with you on the patience thing. It is not easy to realize that ahead is something good. Congratulations on your success! You deserve it and to me having those children makes you more successful than any fame could have done!!! have you ever thought about doing blogtv? ps. Can you show us more pictures with your hair short?! I saw you in Elle!!!! oh hey, i thought elle would've let you know if they're putting you in their magazine?! KANDEE YOU ARE ALSO AN ELLE'S WEBSITE!! HAVE A WONDERFUL DAY! You know Kandee - I just got off the phone with a supplier - not a productive phone call. In frustration I logged onto your blog and PRESTO - A moment of clarity!! Thank you for your positive thoughts!! 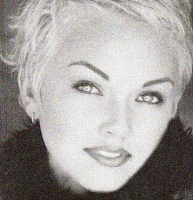 You look like actress Sherilynn Fenn in this picture with your short hair. It looks great! I just wanted to say thank you for all your inspirational posts... they help me get thru the day, especially those feel-like-givin-up-today days... keep them coming please.. =) you don't know how much your nice words help people like me... thank you again!! Definitely a great post...just what I needed! CONGRATULATION KANDEE!! Goes to show that patience does pay off. I love the way you write and how you express yourself. 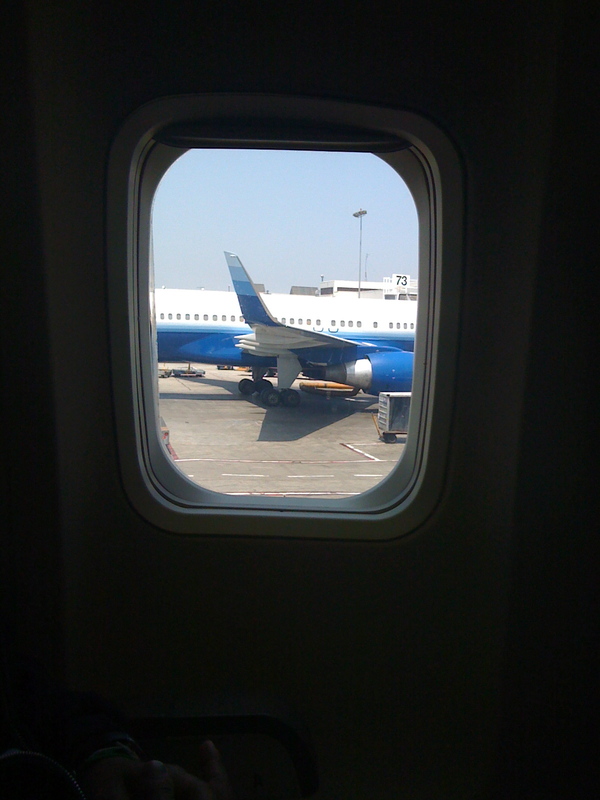 Have a safe flight! I really insanely crazily needed to hear this today. All my frustrations were bundled up into one big hot mess tonight as I sat in my kitchen and cried. God is definitely working through you Ms. Johnson and I'm so thankful that He does. Yesterday something not-so-happy happened to me and I was angry and disappointed...Your words are always appropriate. BTW-Have awesome days and happiness at your job and everywhere! CONGRATULATIONS FOR THE ELLE MAG AND WEBSITE!! God has a plan for all of us.... and yea we do grow impatient. Thanks kandee for inspiring me. Kandee I found your videos about a month ago and I have been reading your blog everyday since then. I believe the Lord has given you a gift. Thank you so much for being open about your faith. Your great! Many Many God Blessings!!!!! Hi Kandee, another inspiring post! My friend introduced me to your website and I've been a follower since. Like you I've always had a passion for make up and hair. I was always the one that did my friends hair/make up (I'm not so great with make up though) for dances, proms and weddings...I've always toyed with the idea of going to beauty school but I never had the time...until recently. I got laid off from a job that I didn't like so much...and now I'm looking into beauty schools. What would you recommend? I know you are a very busy person...but I hope to hear from you! This is my first comment on your blog, but I have watched all your youtube videos and read your blogs since June when I discovered your videos. I was off work sick when I found your videos, I was feeling really low and I watched one of your videos and you instantly made me feel better. You have such a kind spirit and your personality just shines through on every video you do. I REALLY love that head shot of you!!! Btw, do you know what issue you were in??? Strong, beautiful woman...Kandee. We had no idea you were a single mom, thanks for the inspiration. Last week I wrote out your inspiration regarding. I am wating for the KANDEE show on E! Hello Hollywood! hmmm...so do you not bring any liquid makeup/brush cleaners, etc...or do you just check those? Wait... Was it the same one about Megan Fox make-up?..or..is it an other one?!!!! You're right about being patient. Impatience is my second nature. ;-) And since I haven't found the right job for me after 6 months of search, I really needed this confidence you gave me back with this post. I got a little desperate lately. Love your vids on youtube. learned a lot through it. 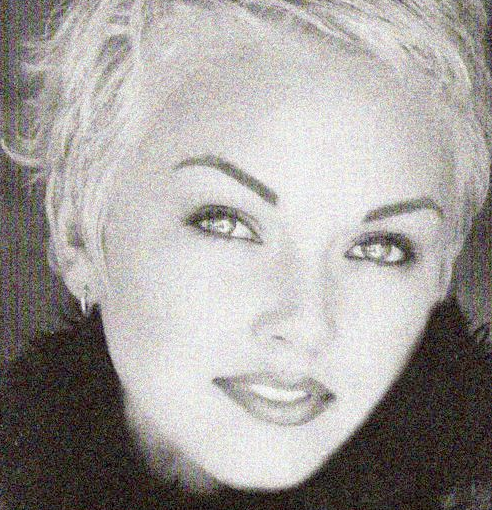 Kandee..in this headshot..you look like Sharon Stone. "and just enjoy each precious moment until your season is ripe for the picking!"